As technological advancements continuously emerge over the decades, surgery has proven itself as a sophisticated discipline capable of treating a plethora of diseases and conditions. Consequently, as computer hardware and software become increasingly refined, these technologies have been implemented in the operating room as well. With the late popularization of minimally invasive procedures and surgeries, finely operated robotic surgery platforms have found a prosperous young market in the medical device industry. In fact, procedures focused on minimally invasive implementations account for nearly 80% of the total surgical robotics market. Constituting just under 900,000 robotic-assisted surgical procedures performed in the United States last year, the robotic surgery market is expected to grow impressively to approach 3 million procedures by 2025. Top 10 Robotic Surgery Companies in the U.S.
Intuitive Surgical held the leading position in the United States robotic surgery market in 2018. Intuitive received FDA approval for their first-ever da Vinci® robotic system in 2000, and since then, they have expanded on the da Vinci® system to yield a robotic surgery empire. Additional da Vinci® systems such as the da Vinci S® were commercialized in 2006 and the da Vinci Si® in 2009, but Intuitive’s flagship product, the da Vinci Xi®, was launched in 2014. Intuitive Surgical is expected to remain the market leader by a significant margin throughout the forecast period, fueled by revenue from procedures and service and maintenance fees. Stryker was the second-leading competitor after entering the robotic surgery market after their acquisition of MAKO Surgical Corp for $1.65 billion in 2013. MAKO manufactured and sold the Rio® Robotic Arm interactive orthopedic surgical platform, which has since been marketed by Stryker as the Mako™ Robotic Arm. The Mako™ system, used for partial knee arthroplasty and total hip arthroplasty, generates the vast majority of revenue in the orthopedic robotics market. Accuray was the third-leading competitor, offering their CyberKnife® robotic radiosurgery system. The CyberKnife® has been developed as a result of the company’s partnership with KUKA AG, a manufacturer of industrial robots. The system uses image guidance and computer-controlled robotics to deliver high-energy radiation to a tumor, and is designed for the treatment of multiple types of cancers and tumors throughout the body by automatically tracking the tumor’s position and detecting any patient movement to deliver treatment with sub-millimeter accuracy. The system is FDA approved to treat tumors anywhere that radiation therapy is applicable. Smith & Nephew held the fourth-leading position after a $275 million acquisition of Blue Belt Technologies in 2015. In this deal, Smith & Nephew gained the NAVIO™ platform, which allows for robotic-assisted surgical unicondylar or partial knee replacements. This system combines a handheld instrument with a navigation platform in order to provide the surgeon with a victual cutting guide for arthroscopy procedures. As this uses CT-free navigation software, there is no preoperative planning time required. Mazor Robotics held the fifth-leading position in the total robotic surgery market with their top position in the spinal surgery segment of this market and third place position in the neurosurgery category. The company provides two robotic surgery platforms, the Renaissance® Surgical Guidance System and the Mazor X™ Robotic Guidance System. The Renaissance® system was approved by the FDA in 2012 for cranial surgeries, including biopsies, hydrocephalus shunt placement, and electrode placement. The Mazor X™ system, on the other hand, was unveiled shortly after a commercial co-promotion and co-development agreement was signed with Medtronic in 2016. The remaining top competitors in the robotic surgery market include Auris Health, Medtronic, Globus Medical, Zimmer Biomet, and Stereotaxis. Auris Health, previously known as Auris Robotics, acquired Hansen Medical for $80 million in 2016. As such, Auris inherited Hansen’s robotic product portfolio. Medtronic held a noticeable share in this market as they are the exclusive distributor of the aforementioned Mazor X™ system, effective since 2017. Globus Medical is actively marketing their ExcelsiusGPS® robotic guidance and navigation system for orthopedic and neurosurgical spine procedures. 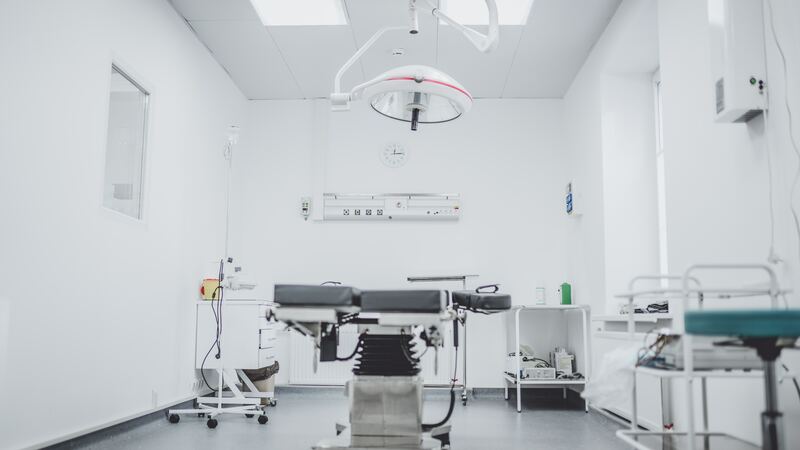 Despite Zimmer Biomet’s inheritance of some robotic surgery platforms, the company was not present in the market in 2018. However, they have plans to reengage their robotic spine business in the near future. Finally, Stereotaxis was the tenth-leading competitor due to their second place spot in the robotic vascular catheter system market. More on the top 10 robotic surgery companies can be found in a series of reports published by iData Research entitled the US Market Report Suite for Surgical Navigation and Robotic Systems.